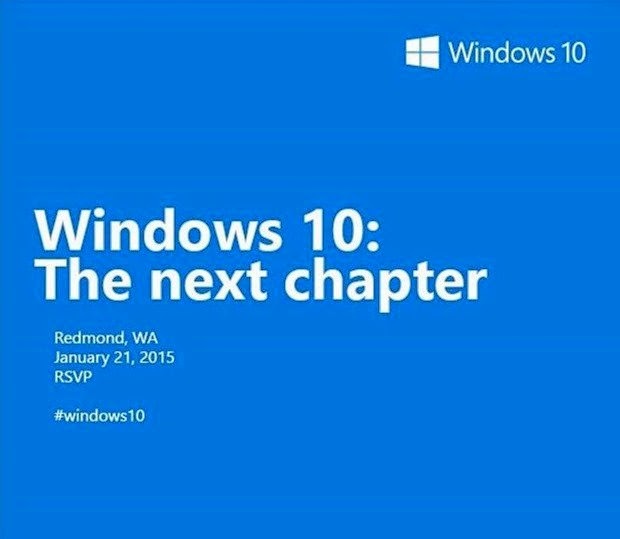 'The Next Chapter' event of Windows 10 is expected to show some great stuffs, including Windows 10 and some other consumer features. In that event Microsoft will probably show off the Windows 10 for phones which is being named Windows Mobile 10 as confirmed by Tom Warren. Though Tom Warren had not announced the Mobile version name of Windows 10 and kept all of us into curiosity but this will probably be Windows 10 for phones. The 21st January event at Redmond is an invitation only event and Microsoft already sent the invites last month. But still you can see this event online. Though Windows10 is mainly focused on desktop versions but we expect some greater changes on our Windows Phones! Lets wait for the event and stay updated with us, We will keep you informed!